A man accused of child grooming offences has been remanded in custody following a court appearance. Paul Middleton, 53, of no fixed address, faces charges of attempting to meet a child following sexual grooming and attempting to incite a girl aged 13 years in sexual activity. 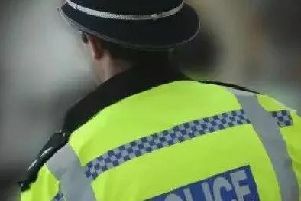 The offences are alleged to have taken place in Stamford between April 27 and May 3. Middleton, who appeared at Lincoln Crown Court via video link from prison yesterday (Monday), spoke only to confirm his identity and no please were taken. Recorder Adrienne Lucking QC adjourned the hearing until August 14 and remanded Middleton in custody.